On 12 September 1977 Steven Bantu Biko died. His body was emaciated and battered. It was the police who killed him. On the night before he had been driven from Port Elizabeth to Pretoria, a distance of about 1500 kilometres, in the back of a Land Rover, naked and chained to the floor. He had been interrogated for some 22 hours in Port Elizabeth and was already near death when it was decided to take him to Pretoria. His body was a mass of bruises and he had severe head wounds when he was packed into that Land Rover for the long journey through the late winter cold. 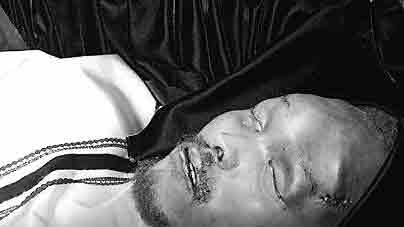 Biko died of a massive brain haemorrhage caused by the beatings he had received at the hands of the police. They claimed at the time that his death was the result of a hunger strike. 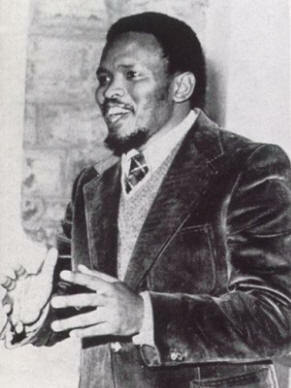 Biko was a South African student leader, having led a break-away group of university students out of the liberal, mostly white, National Union of South African Students (Nusas) to form a black body called the South Africa Students Organisation (Saso). He had been born in King William's Town in the Eastern Province on 18 December 1946. Biko, after high school, in 1966 entered the medical school of the University of Natal in Durban to begin medical studies. Here he became involved in student politics as a Nusas member, but soon found himself chafing at the liberal paternalism of the white students. He was also convinced that blacks needed to develop self-reliance and to restore their pride in their culture and history. He therefore led the break-away from Nusas and helped to found Saso in 1968 of which he was elected president in July 1969. In December 1970 Biko married Ntsiki. He left the medical school in 1972 and began to work for an NGO called the Black Community Programme (BCP) in Durban. 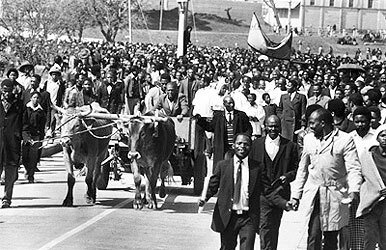 In early March 1973 Biko, along with several other Saso leaders, was banned and restricted to the King William's Town district. Having moved back to his hometown he immediately began setting up an Easter Cape branch of BCP, but at the end of 1975 an extra clause was inserted into his banning order making it illegal for him to work for the BCP. The following year he was detained under the notorious Section 6 of the Terrorism Act for a period of 101 days during August to December. On 18 August 1977 Biko was again arrested under Section 6 and taken to Port Elizabeth for interrogation. 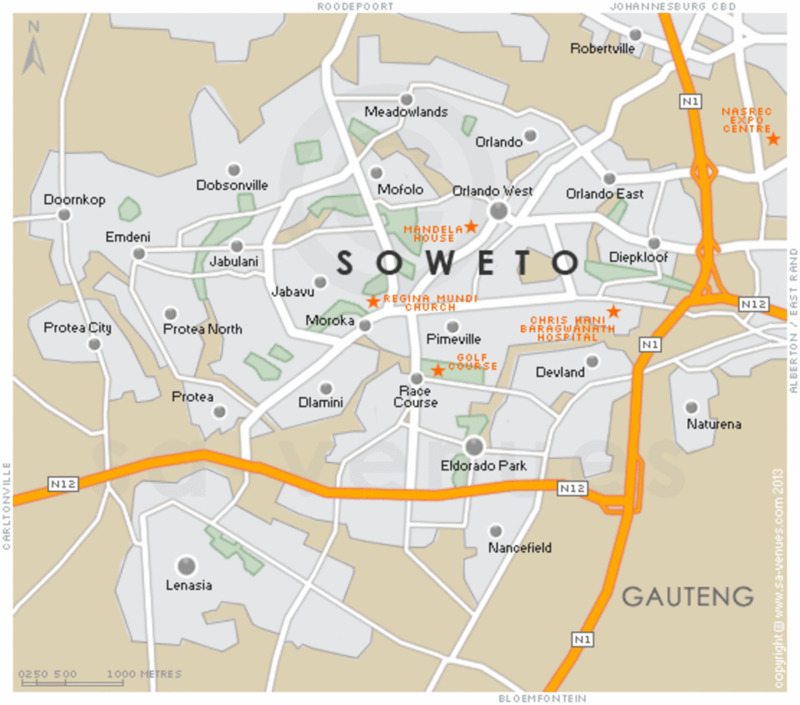 His subsequent death in Pretoria shocked the country. 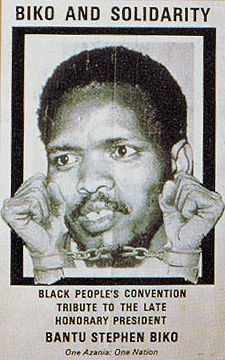 When he first heard the news of Biko's death, the white editor of the East London Daily Dispatch , Donald Woods, who had met Biko and become a friend, was incredulous: “I know the Nats (the Nationalist Party which instituted apartheid) are mad – but even they aren't so mad as to let him die of anything in detention.” Woods phoned Biko's family to get confirmation and was devastated to hear that it was true – Biko was dead. Biko was an eloquent speaker, and an attractive personality. He was a thinker of some depth and a writer who could put complex ideas into simple language. He was, in other words, a great communicator. His banning effectively silenced him. Biko also lived what he preached, not being subservient to anyone. His coffin was drawn on an ox cart through the streets of King William's Town on its way to the graveyard. The funeral was attended by tens of thousands of mourners from all over the country. The funeral marked the end of the bodily life of Biko, but his influence is still felt. The apartheid regime created a martyr whose memory will live for as long as people value self-respect and freedom. Steve was a great man! Thanks for sharing Bikos story. Voted it up and will be following you. I enjoyed reading this. Maxine - pour another glass of red and take it easy, you deserve it! These things are too horrible and they do go on and on, it would seem. I frequently wonder what Biko would have made of things in the South Africa of today? See Ixwa's comment here. Nerita - thanks for stopping by. If you would like me to answer you please send me an email through the link "Contact tonymac04" above. I could help with info for you assignment. McHamlet - thanks for stopping by. I belieive that Biko should never be forgotten, both for what he believed in and for how and why he died. Thanks again for the supportive comment. Always good to remind us of those who died so others could live. Painful to read but a service nevertheless. Maxine - it seems the struggle for humanity goes on and on. Biko is one who needs to be remembered, one who was cruelly cut down before he could make his full contribution to humanity. A continuing tragedy. Hello Tony,takes me back through the years -so many murders of the good ones. It is no use screaming but that is how it makes one feel. From Peterloo to Red lion square and a million other places where the knowing and brave are put down like an unwanted animal, thanks for reminding us of the important and honourable ones,best from m.
Christine - thanks for the kind words. That movie is worth seeing. Glad you found the Hub useful. Katie - thanks for the visit and the comment. He was impressive, and an important thinker. The way he was treated was simply iniquitous! Micky my cycling brother! We are indeed on a "quest for true humanity"! Thanks for the visit and the comment, which I really appreciate. Gusripper - thanks for the comment. Biko was certainly very influential and important in our history, though I don't like to make a judgement on how he rates against Mandela and others! 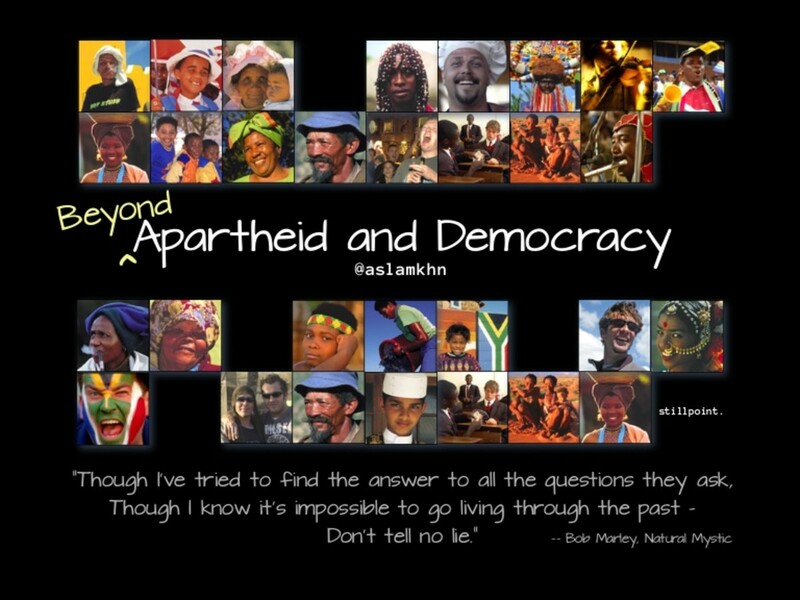 I do think he would have made a huge contribution to our new democracy, had he lived. Lilly - thanks for the lovely comment. It is so sad that we so often see and react to the non-essential and miss the centre. Intolerance in so many ways shapes the world, and we are the poorer for that. Nifty - the price of freedom is indeed high. "Eternal vigilance" is perhaps the least of it! OCBILL - thanks for the visit and the comment. Yes, the police in South Africa back then did have a different understanding of to "serve and protect" - they served and protected the regime and not the people. Kim - thanks for your kind words. I appreciate that you took the time. The beaches in South Africa are the best! 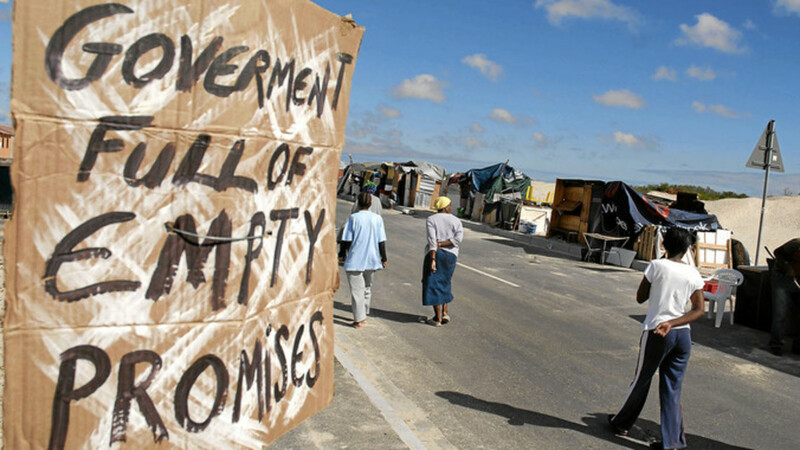 The economy is doing OK at the moment though the local currency, the Rand, is quite strong against the dollar at the moment and so you might want to wait a little while until the Rand weakens again so you can get more for your bucks! There is lots to see and do in this wonderful country, so do come! Ruby - the cruelty so often shown in service of an ideology always amazes me too. I feel sometimes powerless before such cruelty. And yes, things are better here now, though like everything there is still much to be done to make things right. I guess it's really a never-ending struggle. Dim - thanks for the comment. That was a great movie and did tell something about the times we lived through. Cindy - thanks for the visit and the comment. It was indeed so, so wrong. Amillar - you are most welcome and thanks for the visit and comment. Brother Dimitris - the police state that was the apartheid state was intolerable indeed. The world is a better place now that that hateful policy and practice has ended. Thanks for the visit and the supportive comment. Martie - we do seem to go around in circles sometimes, don't we? The person who was thrown out of the window was Ahmed Timol, the first 90-day detainee to be killed by the police. He was thrown, if my memory serves me well,. from the 9th floor of what was then John Vorster Square police offices. Brother Sabu - we could indeed benefit from having more people like Biko. Thanks for the visit and the comment. Well, as usual, you've prompted me to learn more. I saw someone mention the movie Cry Freedom, it's not one that I have seen. So, it's going on my list. I knew the Biko was a Martyr of some type related to ending apartheid but that was it...thanks for filling in a few of the blanks. WOW what an impressive man, and such a tragic end. I learned a valuable bit of history today. Thanks for this tribute to Biko. Bob - thanks for commenting. He was in so many ways an admirable man. I often wonder what South African politics would be like now had he lived! Tony Brother Man! This is truth and it is bitterly beautiful. This was a true hero. His beatings are etched a little in us. God bless you Tony. None of us are free if one of us is chained. "We have set out on a quest for true humanity..,"
Am very far(Greece),but this song "Biko" made me look in AFRICA .The song and the movie can be a hit in the heart of racism.About STEVEN BIKO i think he was more inportand person for human rights than MANDELLA . Thanks tonymac, for reminding us of the high price of freedom and our personal liberties, so that we strive to never lose them! How could people or society collectively be so cruel? To serve and protect had to have had a different meaning in So. Africa., it is embarassing for them. Surely, the criminal policemen were not prosecuted. Police have to much leeway and too much defense. I read of Biko back in the 80s after hearing a Peter Gabriel song. thanks again tonymac! Great story and pics. Your voice comes through very clearly. 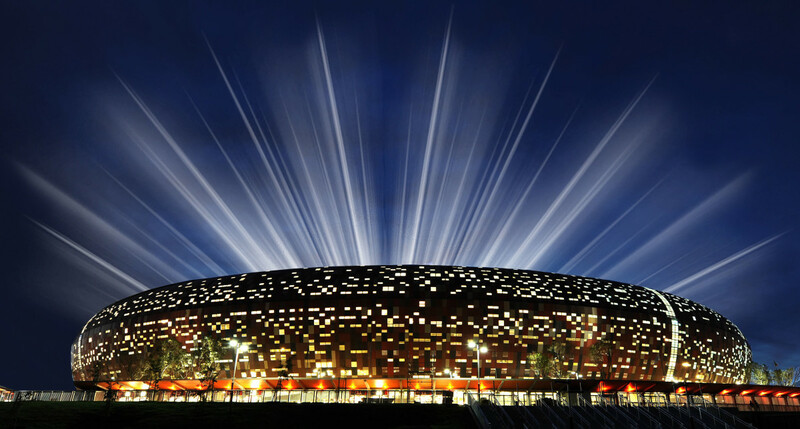 There are ads on your hub for round trip flights to S. Africa for $929! How are the beaches and your economy? 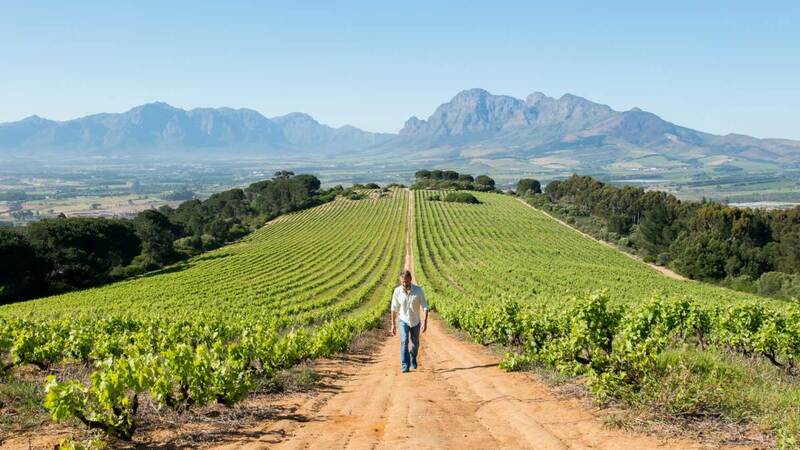 Now that I'm learning so much about S. Africa, I might want to visit. This article touched me. How could anyone be so cruel? I hope it,s not like that anymore. I,ll never understand why the white race feels superior. 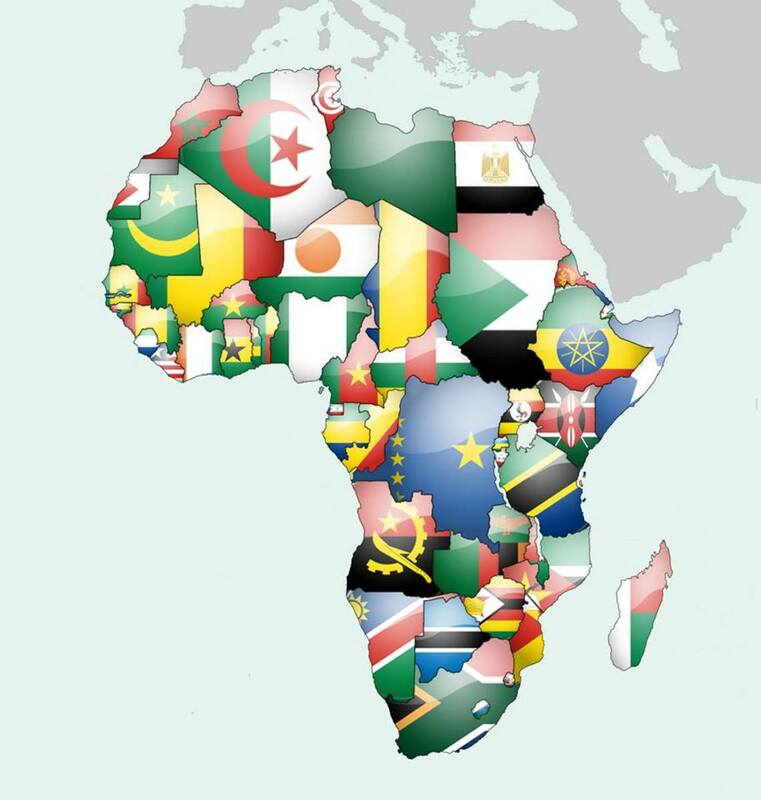 Thank you so much for bringing us stories that sheds light on events in Africa. Thank you so much for that. I learned only a little about Biko watching a film called ¨Cry Freedom¨. I´ve never forgotten it,. Biko was indeed a remarkable man. I read a book sometime ago that told the story of Donald Woods, a white South African journalists who was an ally of Biko, it was riveting stuff. Woods, and his wife eventually had to flee the country to avoid the death threats. Nice concise piece Tony and great read. What happened to him was so, so wrong! Thanks for this Tony! I've often heard of Steve Biko. Thank you for giving me this bigger picture. How horrible to suffer a police state. To have the actual police do the bidding of any individual or group of individuals as the mood strikes them. Intolerable! This episode in our history was so sad and indeed a big mistake. In a way one can understand the merciless behaviour of police officers on duty – they have to get hard criminals out of society and behind bars, without the consent and co-operation of those criminals, and their lives are always in danger, they dare not trust anybody in the environment they are working, and besides frauds they are just doing what the government expect them to do. BUT there is, for sure, a line between mercilessness and cruelty. I can’t remember what happened to those who killed Biko. Wasn’t it him who was thrown out of a window and declared as a case of suicide? Let’s face it, Tony, throughout the history of the human race many-many wrongs were committed in terribly awful ways, and it didn’t end and it will never end. The ‘rules of the game’ merely gets updated, the style of the game becomes a little less barbaric, the loosing team of the past becomes the winning team of the present, and the score keeps everyone always in suspense. My heart goes out to Biko (and his family) who died as a martyr, but also to all martyrs who have died and will die for justice and fairness. As always, an excellent hub! Thank you for this interesting Hub of a great man Tony. Wish there were more like him in the world. Tony- You are peeling back the layers of the onion of entreched racism in South Africa by your historical articles. Biko was murdered and noone was ever brought to justice I'm guessing.Humanity turns a deaf ear to injustice until the popular voice is silenced violently. Sad state of affairs to say the least. A sad ending for an admirable man.